The world's got a massive food problem. It is time to shift the focus from mass food production to food production by the masses, and reinvent the small farm. Let’s make healthy, nutritious food available to everyone. Farm from a Box: a complete, off-grid toolkit for local food production. An innovative off-grid toolkit for sustainable, tech-powered agriculture. It is the easiest and most efficient way to start and maintain a 2-acre planted farm. everything you need for a small farm. The preinstalled modules make the system as plug-and-play as possible. Includes micro-drip irrigation system ensuring precise water delivery. It’s easy-to-assemble and water efficient, which lowers labor and maintenance costs while saving water. No grid access? no problem. Farm from a Box is powered by renewable energy, making it an independent, clean energy system that saves money. 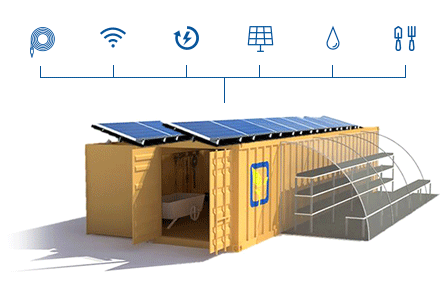 Includes a solar-powered pump by Grundfos – the world's largest pump manufacturer – that can connect to different kinds of water supplies like ground well water or municipal line. Each Box comes with a Wi-Fi enabled IoT (Internet of Things) system that helps to improve operational efficiency, optimize water and energy usage and provides the farmer with real-time data for decision making. Sensors monitor everything from solar panel performance and irrigation efficiency to soil conditions. An reliable integrated technology from SMA, a leading global specialist for the decentralized and renewable energy supply, ensures energy is always available. We've also packed basic hand tools into the Box including a broadfork, trowels and shovels, a seeder, wheel hoe, bed-prep rake and more. The interchangeable components allow us to tailor the unit to different climates. Designed to conserve water, save energy, and help build a healthy soil, Farm from a Box enhances agricultural productivity with clean technology in a regenerative farming system. More production with less waste means more profit. While Farm from a Box was initially designed as an alternative to food aid, the opportunity extended beyond aid and could provide an easy way to grow healthy food and earn an income. Technology + sustainable farming = a smarter, better, more efficient production strategy. We partnered with industry leaders in sustainability; combining “best-in-class” technology from globally recognized companies that ensure quality, longevity, and support. Including Netafim, pioneers of drip irrigation, SMA, a global leader in photovoltaic systems, and Grundfos, the world's largest pump manufacturer, and Cisco, the biggest networking company in the world. Farm from a Box's patent pending design is engineered to expand a 20 ft. container to double in size upon deployment, without the need of any special equipment. The technology is pre-installed to make the system as plug-and-play as possible. The templated design and interchangeable components make it versatile and adaptable to different climates and users. There are several containerized food production systems that we are often likened to. Most of those are hydroponic systems that grow leafy greens vertically, inside of the container. While vertical hydroponic systems are great, Farm from a Box has taken a different approach. By providing the tools and technology to grow a complete farm outside, our system supports any kind of crop- creating greater options for the user. If nutrition is the goal it can support fruits, vegetables, and plant based proteins. If income generation is the goal it can support whatever high-value crops suit the local market. 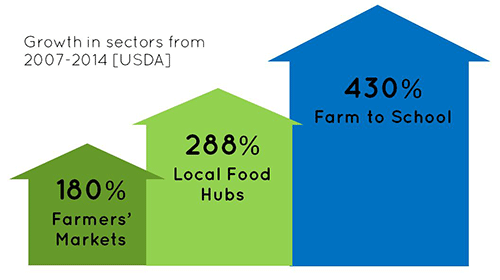 Local food has grown from niche market to a booming new economy. Fresh, local grown food is in HIGH DEMAND – government and private sector are jumping on board. This is a $107 Billion Total Addressable Market. Farm from a Box can be THE go-to system to help stimulate and grow local food production and agricultural training. We have 139 interested buyers on our pre-production waitlist: with your investment, we can streamline our supply chain, ramp up manufacturing and start filling orders. Direct-to-consumer sales model allows us to reduce costly inventory, tailor-make units to order, and improve the consumer experience with a direct product-buyer relationship. After a basic assessment, the product is made to order, and shipped to the buyer's location. Business can be a powerful agent for change. Let's shift how business impacts the world. We believe business can solve problems, increase efficiency, and foster vibrant healthy communities, while making a profit! Farm from a Box is working to do just that. 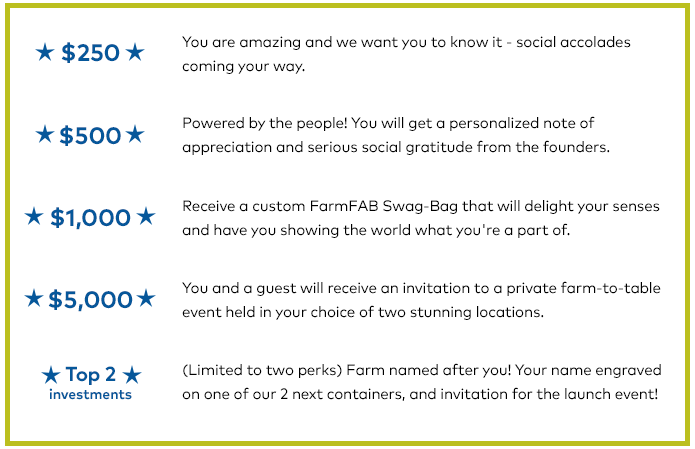 While not as the foremost reason to invest, we offer nice perks in gratitude for your support, including our most exclusive perk – The Farm named after you! Our prototype farm is a success! The technology works and the farm is productive and efficient, with a bounty of crops. In order to prepare for large scale production and begin filling orders, we are launching our 2.0 units to refine the technology and develop our training program. We will also streamline our manufacturing and supply chains and expand our operational capacity in preparation for production. We were building a Youth Empowerment Center in Kenya, using modified shipping containers around a soccer field to provide basic resources in education, health, and sport. 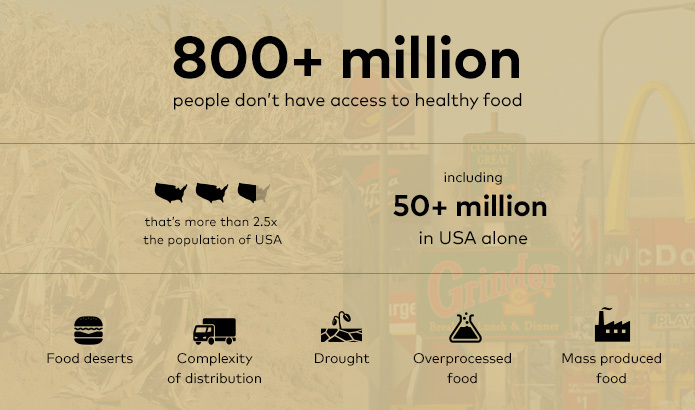 But accessing fresh, nutritious food was a problem. Then it occurred to us - what if we could use a shipping container to provide the tools to start a farm and grow food right there? An all-in-one kit ... a "farm-in-a-box." We spoke with some of the best minds in agriculture, biodiversity, and sustainable energy, farmers, government officials, and some of the largest aid providers in the world trying to understand what was needed and what could be done better. Their answer? We want the infrastructure to support reliable crop growth and the training to do it better. So that's what we built. Together, we can build an industry-changing business that provides locally grown, healthy food to communities around the world. Sometimes the best solutions are the most obvious – let’s give people the tools. For people, planet and nutritious food for everyone! The smallest investment amount that Farm from a Box is accepting. The largest investment amount that Farm from a Box is accepting. Farm from a Box needs to reach their minimum funding goal before the deadline. If they don’t, all investments will be refunded. If a trigger event for Farm from a Box occurs, the discount provision gives investors equity shares (or equal value in cash) at a reduced price. 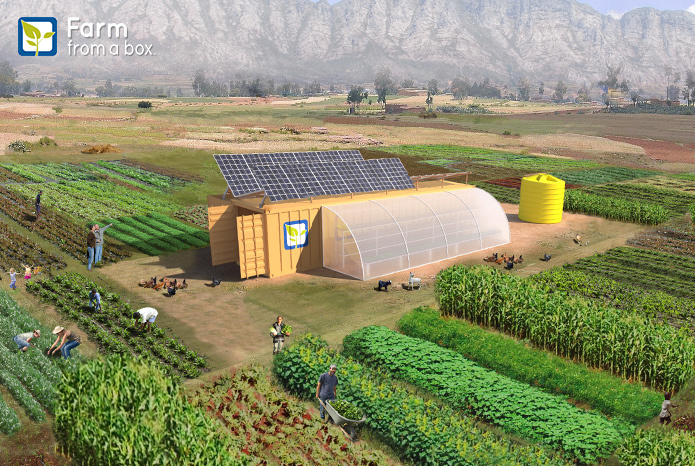 Farm from a Box needs to raise $100K before the deadline. The maximum amount Farm from a Box is willing to raise is $1000K. Farm from a Box Inc.
Scott has over 16 years of nonprofit and executive experience, Co-Founding Farm from a Box, TackleBox Lab and Human.kind. 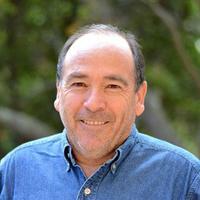 He previously held leadership roles with International Children’s Games and San Francisco Sports Council. Brandi is the Co-Founder of Farm from a Box, and TackleBox Lab, both ventures in sustainable agriculture and clean energy tech. Previously, she was a Managing Partner of Human.kind Philanthropic Advisory Company. Brandi is a graduate of Berkeley. 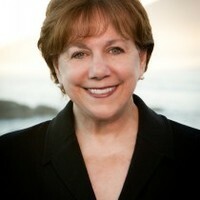 Ann Veneman was Executive Director of UNICEF until 2010. Prior to that she was Secretary of the United States Department of Agriculture, the only woman to have ever held that position. Dr. Altieri is a globally recognized expert in climate resilient small farm development, and professor of agroecology at UC Berkeley. 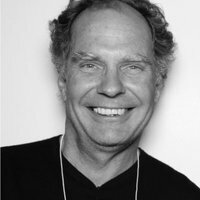 He is the author of more than 200 publications, and numerous books. 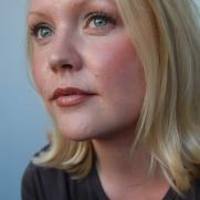 Nina is Founder/Director of Strategy International. 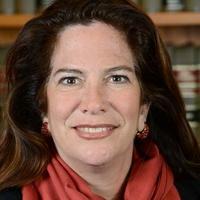 She specializes in corporate sustainability, CSR and public-private partnerships.. She is also an adjunct professor at Johns Hopkins SAIS Business and Human Rights. Cari is a founding Principal at Global Engagement Partners (GEP). She specializes in developing tri-sector partnerships, guiding corporations on global affairs and public diplomacy. She also served in senior positions at the US Department of State. Craig is a founder of Intermodal Structures, steel frame modular buildings that can be rapidly manufactured. He was also a senior partner, Director of Acquisitions at AMB Property Corporation completing over $3 billion in acquisitions. Could the Future of Farming Come from Thinking Inside the Box? We are projecting each unit to cost roughly $40k; the product will retail at $60k, excluding local delivery and in-person custom training. This price point has been tested with our buyers and has been well received. When sales and production ramp up, our margin will increase with economies of scale. The Farm from a Box system is patent-pending. Trademarks and Registration has been filed and submitted. How are you going to spend the investors money ? 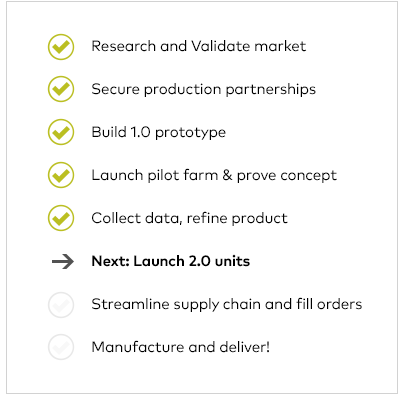 The capital raised from this offering will be directed towards the two 2.0 units that will help prep for manufacturing, development of the training program, streamlining the technology and supply chain and expanding the operational capacity of the business in preparation to fill orders and scale out. Our objective is start filling orders with a quality product. Why are we the team to lead this? What other staff will you bring on? We have the persistence, passion, and grit to lead this business. From technology to agriculture and manufacturing to government- we have built a network of global experts at our access. The founders skill sets complement one another, and we are going to build out the team to include roles in engineering, agriculture and logistics. Has the business changed since it first started? 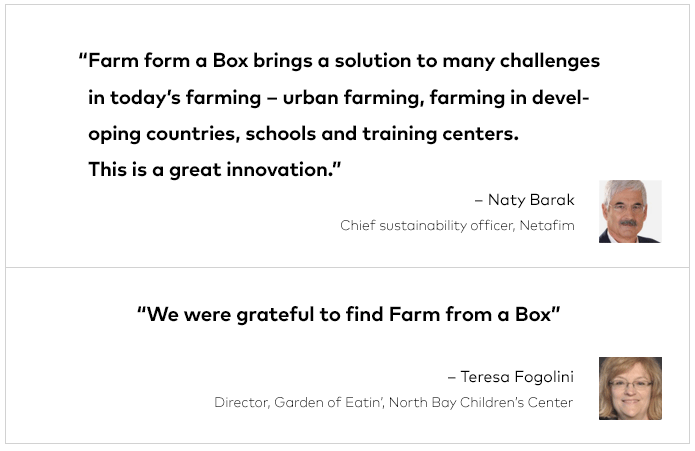 Farm from a Box was initially designed to offset standard food aid by providing communities with the tools needed to grow their own food locally. While the product still very much fits that need and the international aid/development sector, the first targeted market and buyer has changed. Originally we were going to run dual pilots in California and also Ethiopia. The political situation changed, and we ultimately decided to pull the launch. Rather than piloting internationally, Farm from a Box will focus its launch within the domestic U.S. market first. The domestic market poses less risk and greater opportunity for a broad customer base that can help the business generate revenue on a quicker and more reliable timeline. Once the manufacturing and supply chains are more firmly established, Farm from a Box will strategically scale out to meet international demand. We expect the overall system to last for 10+ years. Every aspect of the Box and its components has been designed and selected with maximum durability and simplicity in mind. The container itself will last for 20+ years, with other hardware items such as the PV system, water pump, invertor and battery storage all having an expected lifespan of 15-20 years. Other components, such as the irrigation system, will vary and may require some replacement. It could be moved, yes, but because it acts as the powerhouse and barn once on site and deployed, with many components operational in the field, it is intended to stay on site. Yes! In addition to a basic operating manual, we are also developing a three-part training program that covers sustainable farming, technology use and maintenance, and farming-as-a-business. Are all of the Boxes red? We painted our first Box "Heartthrob Red" because we love it. We also named it "Adam". Ultimately, we will offer a few color options for the Box. Do you use reclaimed shipping containers or new ones? New ones. We did consider using old shipping containers, but we wouldn't be able to guarantee the quality and durability. Plus, the cost difference is very slight. Because we are going to manufacturing the units in a large quantity, it was also better to use a new "clean-slate" container. Our current model is built from a standard 20ft. shipping container (20' x 8' x 8'6"). Upon deployment, it is engineered to expand and double in size, making the footprint 20' x 16'. The add-on greenhouse extends from the Box lengthwise an additional 10ft. Does it come with seeds? No, there is no organic material in the system. Selection of seeds depends entirely on what you want to grow. Water is clearly a vital component to any farm, and our system is designed to conserve water and use it wisely. Because our system can adapt to different areas, the pump can operate in a groundwell system or hook up to a municipal line. The majority of small farms around the world are on about 2 acres and less. We wanted to make it a broad solution for the masses. Plus, the power generated from the PV system is enough to evenly distribute the water throughout the field while also powering the internal technology. Can the Box power a sound system inside? We do not have a lengthy operating history upon which you can evaluate our performance, and accordingly, our prospects must be considered in light of the risks that any new company encounters. We were incorporated under the laws of California on February 6, 2012. Accordingly, we have little history upon which an in-depth evaluation of our prospects and future performance can be made. Our proposed operations are subject to all business risks associated with new enterprises. The likelihood of our creation of a viable business must be considered in light of the problems, expenses, difficulties, complications, and delays frequently encountered in connection with the inception of a business, operation in a competitive industry, and the continued development of advertising, promotions, and a corresponding client base. We anticipate that our operating expenses will increase for the near future. There can be no assurances that we will ever operate profitably. You should consider the Company’s business, operations and prospects in light of the risks, expenses and challenges faced as an early-stage company. The Company is subject to certain benefit corporation requirements. The Company is a California benefit corporation. As such, as it has certain privileges and is subject to certain requirements that may be detrimental to the interests of investing shareholders. Unlike a normal corporation, where the interests of shareholders are paramount, the Company’s officers and directors must also take into consideration the stakeholder interests of employees and customers, and the Company’s ability to accomplish its public benefit purposes. In any shareholder derivative suit, the Company may not be found at fault for failing to act for the benefit of its shareholders if such lack of action is attributable to addressing any of the aforementioned concerns. In addition, the Company is required to measure its social and environmental performance against a third-party standard and must furnish state regulatory authorities with annual reports, incurring additional costs. Investors may see a lesser return on their investment by investing in the Company than they would by investing in a non-benefit corporation. As a distributor of small farming systems, our business depends on developing and maintaining close and productive relationships with our vendors. There are substantial risks and uncertainties associated with implementing new lines of business or offering new products and services within existing lines of business, particularly in instances where the markets are not fully developed. In developing and marketing new lines of business and/or new products and services, we may invest significant time and resources. Initial timetables for the introduction and development of new lines of business and/or new products or services may not be achieved and price and profitability targets may not prove feasible. We may not be successful in introducing new products and services in response to industry trends or developments in technology, or those new products may not achieve market acceptance. As a result, we could lose business, be forced to price products and services on less advantageous terms to retain or attract clients, or be subject to cost increases. As a result, our business, financial condition or results of operations may be adversely affected. Customers often finance purchases of our products. Declines in the lending environment including fewer lenders, tighter underwriting and loan approval criteria, greater down payment requirements and, in some cases, higher interest rates have impaired customers’ ability to finance and purchase our products. If credit conditions worsen, and adversely affect the ability of customers to finance potential purchases at acceptable terms and interest rates, it could result in a decrease in sales of our products or delay any improvement in our sales. Climate Change, Climate Change Regulations and Greenhouse Gas Effects May Adversely Impact our Operations. There is growing concern from members of the scientific community and the general public that an increase in global average temperatures due to emissions of greenhouse gases (GHG) and other human activities have or will cause significant changes in weather patterns and increase the frequency and severity of natural disasters. Climate change, including the impact of global warming, creates physical and financial risk. Physical risks from climate change include an increase in sea level and changes in weather conditions, such as an increase in changes in precipitation and extreme weather events. Climate change could have a material adverse effect on the results of our operations, financial condition, and liquidity. Our Farm from a Box unit requires certain climactic conditions to operate to capacity. Solar panels are key to generating power and pumping the water needed to grow crops. Should weather conditions reduce the water required for a successful harvest, our Farm from a Box unit will have diminished effectiveness, likely resulting in reduced sales. We may become subject to legislation and regulation regarding climate change, and compliance with any new rules could be difficult and costly. Concerned parties, such as legislators and regulators, shareholders and non-governmental organizations, as well as companies in many business sectors, are considering ways to reduce GHG emissions. Foreign, federal, state and local regulatory and legislative bodies have proposed various legislative and regulatory measures relating to climate change, regulation of GHG emissions, and energy policies. If such legislation is enacted, we could incur increased energy, environmental and other costs and capital expenditures to comply with the limitations. Due to the uncertainty in the regulatory and legislative processes, as well as the scope of such requirements and initiatives, we cannot currently determine the effect such legislation and regulation may have on our operations. Our trademarks and other intellectual property rights may not be sufficiently broad or otherwise may not provide us a significant competitive advantage. In addition, the steps that we have taken to maintain and protect our intellectual property may not prevent it from being challenged, invalidated, circumvented or designed-around, particularly in countries where intellectual property rights are not highly developed or protected. In some circumstances, enforcement may not be available to us because an infringer has a dominant intellectual property position or for other business reasons, or countries may require compulsory licensing of our intellectual property. Our failure to obtain or maintain intellectual property rights that convey competitive advantage, adequately protect our intellectual property or detect or prevent circumvention or unauthorized use of such property, could adversely impact our competitive position and results of operations. We also rely on nondisclosure and noncompetition agreements with employees, consultants and other parties to protect, in part, trade secrets and other proprietary rights. There can be no assurance that these agreements will adequately protect our trade secrets and other proprietary rights and will not be breached, that we will have adequate remedies for any breach, that others will not independently develop substantially equivalent proprietary information or that third parties will not otherwise gain access to our trade secrets or other proprietary rights. As we expand our business, protecting our intellectual property will become increasingly important. The protective steps we have taken may be inadequate to deter our competitors from using our proprietary information. In order to protect or enforce our patent rights, we may be required to initiate litigation against third parties, such as infringement lawsuits. Also, these third parties may assert claims against us with or without provocation. These lawsuits could be expensive, take significant time and could divert management's attention from other business concerns. The law relating to the scope and validity of claims in the technology field in which we operate is still evolving and, consequently, intellectual property positions in our industry are generally uncertain. We cannot assure you that we will prevail in any of these potential suits or that the damages or other remedies awarded, if any, would be commercially valuable. Any dispute or litigation regarding trademarks, patents or other intellectual property could be costly and time-consuming due to the complexity of our technology and the uncertainty of intellectual property litigation and could divert our management and key personnel from our business operations. A claim of intellectual property infringement could force us to enter into a costly or restrictive license agreement, which might not be available under acceptable terms or at all, could require us to redesign our products, which would be costly and time-consuming, or could subject us to an injunction against development and sale of certain of our products or services. We may have to pay substantial damages, including damages for past infringement if it is ultimately determined that our product candidates infringe a third party’s proprietary rights. Even if these claims are without merit, defending a lawsuit takes significant time, may be expensive and may divert management's attention from other business concerns. Any public announcements related to litigation or interference proceedings initiated or threatened against as could cause our business to be harmed. Our intellectual property portfolio may not be useful in asserting a counterclaim, or negotiating a license, in response to a claim of intellectual property infringement. In certain of our businesses we rely on third party intellectual property licenses and we cannot ensure that these licenses will be available to us in the future on favorable terms or at all. In order to achieve the Company’s near and long-term goals, the Company will need to procure funds in addition to the amount raised in the offering. There is no guarantee the Company will be able to raise such funds on acceptable terms or at all. If we are not able to raise sufficient capital in the future, we will not be able to execute to our business plan, our continued operations will be in jeopardy and we may be forced to cease operations and sell or otherwise transfer all or substantially all of our remaining assets, which could cause a Purchaser to lose all or a portion of his or her investment. While the Company is dependent on Brandi DeCarli and Scott Thompson in order to conduct its operations and execute its business plan, the Company has not purchased any insurance policies with respect to those individuals in the event of their death or disability. Therefore, if either Brandi DeCarli or Scott Thompson die or become disabled, the Company will not receive any compensation to assist with such person’s absence. The loss of such person would have a significantly adverse effect on the Company and its operations. The proceeds from the Offering are necessary to the Company’s operations. Without the proceeds of the Offering, the Company may not be able to sustain its operations. The Company may not have adequate alternative sources of capital and therefore, is entirely dependent on this Offering. If the Company has misjudged the amount of capital it needs or needs additional capital in the future, it may not be able to obtain such capital and may not be able to continue operations. This provides the Company with very little financial flexibility to adapt to the market and industry in which it operates. This lack of capital and flexibility could harm the Company and cause a Purchaser to lose all or a portion of his or her investment. Therefore, Purchasers have no audited financial information regarding the Company's capitalization or assets or liabilities on which to make their investment decision. If Purchasers feel the information provided is insufficient, they should not invest in the Company. We are subject to income taxes as well as non-income based taxes, such as payroll, sales, use, value-added, net worth, property and goods and services taxes. Growth rates higher than planned or the introduction of new products requiring special components could create higher demand greater than we can source. Although we believe that there are alternative sources available for our key components, there can be no assurance that we would be able to acquire such components from alternative sources on a timely or cost effective basis in the event that current suppliers could not adequately fulfill orders, which would adversely affect our business and results of operations. We source certain packaging materials, labels, caps and other shipping materials from a number of third-party suppliers and, in some cases, single-source suppliers. Although we believe that alternative suppliers are available, the loss of any of our packaging material suppliers could adversely affect our results of operations and financial condition. Our inability to preserve the current economics of these agreements could expose us to significant cost increases in future years. The failure or inability of these co-manufacturers to comply with the specifications and requirements of our products could result in product recall and could adversely affect our reputation. Our third-party co-manufacturers are required to maintain the quality of our products and to comply with our product specifications and requirements for certain certifications. Our third-party co-manufacturers are also required to comply with all federal, state and local laws with respect to safety standards. Our third-party co-manufacturers may not produce products that are consistent with our standards or that are in compliance with applicable laws, and we cannot guarantee that we will be able to identify instances in which our third-party co-manufacturer fails to comply with our standards or applicable laws. Any such failure, particularly if it is not identified by us, could harm our brand and reputation as well as our customer relationships. We would have these same issues with any new co-manufacturer, and they may be exacerbated due to the newness of the relationship. The failure of any manufacturer to produce products that conform to our standards could materially and adversely affect our reputation in the marketplace and result in product recalls, product liability claims and severe economic loss. A certain number of our raw material contracts may have minimum purchase commitments that could require us to continue to purchase raw materials even if our sales have declined. We are contractually obligated to purchase a certain amount of raw materials from our suppliers even if we do not have the customer demand to sustain such purchases. The purchase of raw materials, which we are not able to convert into finished products and sell to our customers would have a negative effect on our business and results of operations. If our brand or reputation is damaged, the attractive characteristics that we offer a reseller may diminish, which could diminish the value of our business. We are currently an attractive brand for our customers because our products are high quality and generate a service needed for many applications. This is due to the functionality of our product and aggregation of “best of” technologies and components. If our brand or reputation is damaged for any reason, consumers may no longer be willing to pay a premium price for our products and we may no longer be able to generate sales at our current prices. If we no longer offer these characteristics, retailers may decrease their orders of our products, which could have an adverse effect on our business and results of operations. Changes in raw material and manufacturing input prices could adversely affect our business and results of operations. Because pricing for the majority of critical components is set annually, we typically have very limited ability to pass along fluctuations in costs to customers after pricing has been established. Raw material costs and labor are a significant operating expense. The cost of raw materials and labor can be volatile and are susceptible to rapid and substantial increases due to factors beyond our control, such as changing economic conditions, political unrest, instability in energy-producing nations, and supply and demand considerations. For example, labor, a key manufacturing input, has historically had significant price volatility. Price increases and general volatility could adversely affect our business and results of operations. Our business exposes us to potential product liability risk, as well as warranty and recall claims that are inherent in the design, manufacture, sale and use of our products. We sell products in industries such as agriculture, academia and community development, where the impact of product liability risk is high. In the event our products actually or allegedly fail to perform as expected and we are subject to such claims above the amount of insurance coverage, outside the scope of our coverage, or for which we do not have coverage, our results of operations, as well as our reputation, could be adversely affected. Our products may be subject to recall for performance or safety-related issues. Product recalls subject us to harm to our reputation, loss of current and future customers, reduced revenue and product recall costs. Product recall costs are incurred when we, either voluntarily or involuntarily, recall a product through a formal campaign to solicit the return of specific products due to a known or suspected performance issue. Any significant product recalls could have an adverse effect on our business and results of operations. In most instances, we guarantee that we will deliver a product by a scheduled date. If we subsequently fail to deliver the product as scheduled, we may be held responsible for cost impacts or other damages resulting from any delay. To the extent that these failures to deliver occur, the total damages for which we could be liable could significantly increase the cost of the products; as such, we could experience reduced profits or, in some cases, a loss for that contract. Additionally, failure to deliver products on time could result in damage to customer relationships, the potential loss of customers, and reputational damage, could impair our ability to attract new customers. Many of our customers do not commit to firm production schedules and we continue to experience reduced lead-times in customer orders. Additionally, customers may change production quantities or delay production with little lead-time or advance notice. Therefore, we rely on and plan our production based on our customers’ advance orders, commitments or forecasts, as well as our internal assessments and forecasts of customer demand. The variations in volume and timing of sales make it difficult to schedule production and optimize utilization of manufacturing capacity. This uncertainty may require us to increase staffing and incur other expenses in order to meet an unexpected increase in customer demand, potentially placing a significant burden on our resources. Additionally, an inability to respond to such increases may cause customer dissatisfaction, which may negatively affect our customers’ relationships. Further, in order to secure sufficient production scale, we may make capital investments in advance of anticipated customer demand. Additionally, we order materials and components based on customer forecasts and orders and suppliers may require us to purchase materials and components in minimum quantities that exceed customer requirements, which may have an adverse impact on our results of operations. Such order fluctuations and deferrals may have an adverse effect on our business and results of operations. Utility companies, including many of the Company’s competitors, frequently enter into litigation based on allegations of patent infringement or other violations of intellectual property rights. In addition, patent holding companies seek to monetize patents they have purchased or otherwise obtained. As the Company grows, the intellectual property rights claims against it will likely increase. The Company intends to vigorously defend infringement actions in court and before the U.S. International Trade Commission. The plaintiffs in these actions frequently seek injunctions and substantial damages. Regardless of the scope or validity of such patents or other intellectual property rights, or the merits of any claims by potential or actual litigants, the Company may have to engage in protracted litigation. If the Company is found to infringe one or more patents or other intellectual property rights, regardless of whether it can develop non-infringing technology, it may be required to pay substantial damages or royalties to a third-party, or it may be subject to a temporary or permanent injunction prohibiting the Company from marketing or selling certain products. In certain cases, the Company may consider the desirability of entering into licensing agreements, although no assurance can be given that such licenses can be obtained on acceptable terms or that litigation will not occur. These licenses may also significantly increase the Company’s operating expenses. Regardless of the merit of particular claims, litigation may be expensive, time-consuming, disruptive to the Company’s operations and distracting to management. In recognition of these considerations, the Company may enter into arrangements to settle litigation. If one or more legal matters were resolved against the Company’s consolidated financial statements for that reporting period could be materially adversely affected. Further, such an outcome could result in significant compensatory, punitive or trebled monetary damages, disgorgement of revenue or profits, remedial corporate measures or injunctive relief against the Company that could adversely affect its financial condition and results of operations. To protect our rights in our services and technologies, we rely on a combination of copyright and trademark laws, patents (application filed, registration pending), trade secrets, confidentiality agreements with employees and third parties, and protective contractual provisions. We also rely on laws pertaining to trademarks and domain names to protect the value of our corporate brands and reputation. Despite our efforts to protect our proprietary rights, unauthorized parties may copy aspects of our services or technology, obtain and use information, marks, or technology that we regard as proprietary, or otherwise violate or infringe our intellectual property rights. In addition, it is possible that others could independently develop substantially equivalent intellectual property. If we do not effectively protect our intellectual property, or if others independently develop substantially equivalent intellectual property, our competitive position could be weakened. Effectively policing the unauthorized use of our services and technology is time-consuming and costly, and the steps taken by us may not prevent misappropriation of our technology or other proprietary assets. The efforts we have taken to protect our proprietary rights may not be sufficient or effective, and unauthorized parties may copy aspects of our services, use similar marks or domain names, or obtain and use information, marks, or technology that we regard as proprietary. We may have to litigate to enforce our intellectual property rights, to protect our trade secrets, or to determine the validity and scope of others’ proprietary rights, which are sometimes not clear or may change. Litigation can be time consuming and expensive, and the outcome can be difficult to predict. We may depend upon the identification, investment in and license of new patents for our revenues. If we are unable to maintain such license agreements and to continue to develop new license arrangements, then we may not have the resources to identify new technology-based opportunities for future patents and inventions in order to maintain sustainable revenue and growth. Our current or future license agreements may not provide the volume or quality of royalty revenue to sustain our business. In some cases, other technology sources may compete against us as they seek to license and commercialize technologies. These and other strategies may reduce the number of technology sources and potential clients to whom we can market our services. Our inability to maintain current relationships and sources of technology or to secure new licensees, may have a material adverse effect on our business and results of operations. If we fail to maintain or expand our relationships with our suppliers, we may not have adequate access to new technology and methodologies necessary for our products, which may impair our ability to deliver leading-edge products. In addition to the technologies we develop, our suppliers develop product innovations at our direction that are requested by our customers. Further, we rely heavily on our component suppliers, such as Netafim, Grundfos & SMA to provide us with leading-edge components that conform to required specifications or contractual arrangements on time and in accordance with a product roadmap. If we are not able to maintain or expand our relationships with our suppliers or continue to leverage their research and development capabilities to develop new technologies desired by our customers, our ability to deliver leading-edge products in a timely manner may be impaired and we could be required to incur additional research and development expenses. Also, disruption in our supply chain or the need to find alternative suppliers could impact the costs or timing associated with procuring necessary products, components and services. Similarly, suppliers have operating risks that could impact our business. These risks could create product time delays, inventory and invoicing problems, staging delays, and other operational difficulties. We must develop new products, evolve existing ones, address any defects or errors, and adapt to technology change. Technical developments, client requirements, and industry standards change frequently in our markets. As a result, success in current markets and new markets will depend upon our ability to enhance current products, address any product defects or errors, acquire or develop and introduce new products that meet client needs, keep pace with technology changes, develop the most current training methodologies, respond to competitive products, and achieve market acceptance. Product development requires substantial investments for research, refinement, and testing. We may not have sufficient resources to make necessary product development investments. We may experience technical or other difficulties that will delay or prevent the successful development, introduction, or implementation of new or enhanced products. We may also experience technical or other difficulties in the integration of acquired technologies into our existing platform and applications. Inability to introduce or implement new or enhanced products in a timely manner could result in loss of market share if competitors are able to provide solutions to meet customer needs before we do, give rise to unanticipated expenses related to further development or modification of acquired technologies as a result of integration issues, and adversely affect future performance. Cyclical and seasonal fluctuations in the economy, may have an effect on our business. Both cyclical and seasonal fluctuations in internet usage and traditional buying seasonality may affect our business. Internet usage generally slows during the summer months, and queries typically increase significantly in the fourth quarter of each year. These seasonal trends may cause fluctuations in our quarterly results, including fluctuations in revenues. Like others in our industry, we may face advanced attacks on our information infrastructure where we manage and store various proprietary information and sensitive/confidential data relating to our operations. These attacks may include sophisticated malware (viruses, worms, and other malicious software programs) and phishing emails that attack our products or otherwise exploit any security vulnerabilities. These intrusions sometimes may be zero-day malware that are difficult to identify because they are not included in the signature set of commercially available antivirus scanning programs. Experienced computer programmers and hackers may be able to penetrate our network security and misappropriate or compromise our confidential information or that of our customers or other third-parties, create system disruptions, or cause shutdowns. Additionally, sophisticated software and applications that we produce or procure from third-parties may contain defects in design or manufacture, including “bugs” and other problems that could unexpectedly interfere with the operation of the information infrastructure. A disruption, infiltration or failure of our information infrastructure systems or any of our data centers as a result of software or hardware malfunctions, computer viruses, cyber attacks, employee theft or misuse, power disruptions, natural disasters or accidents could cause breaches of data security, loss of critical data and performance delays, which in turn could adversely affect our business. We currently obtain components from limited sources, and are subject to significant supply and pricing risks. Many components, including those that are available from multiple sources, are at times subject to industry-wide shortages and significant commodity pricing fluctuations. While the Company will enter into agreements for the supply of many components and pricing, there can be no assurance that we will be able to extend or renew these agreements on similar terms, or at all. A number of suppliers of components may suffer from poor financial conditions, which can lead to business failure for the supplier or consolidation within a particular industry, further limiting our ability to obtain sufficient quantities of components. The follow-on effects from global economic conditions on our suppliers, also could affect our ability to obtain components. Therefore, we remain subject to significant risks of supply shortages and price increases. Our products often utilize custom components available from only one source. Continued availability of these components at acceptable prices, or at all, may be affected for any number of reasons, including if those suppliers decide to concentrate on the production of common components instead of components customized to meet our requirements. The supply of components for a new or existing product may be delayed or constrained, or a key manufacturing vendor may delay shipments of completed products to us adversely affecting our business and results of operations. The Company faces potential adverse legislation and government regulation. The Company is subject to federal, state and local legislation and regulation, targeted both at small businesses generally and more specifically at the Company’s industry and target market. Certain aspects of such regulation may currently be the subject of judicial and administrative proceedings, legislative and administrative proposals, and lobbying efforts. Modifications to existing legislation or regulations or imposition of new legislation or regulations applicable to the Company, our customers, and counterparties could have an adverse impact on our business. For example, a state law imposing compulsory licenses and levying additional taxes on individuals seeking to conduct modular farming would likely lead to a decline in the Company’s sales. Off-grid farming in particular has faced significant opposition and intervention from numerous state and local authorities and future enactment of legislation or regulations unfavorable to the Company’s interests is likely. I believe in the concept and I liked the founders' candor in talking about successes and failures (e.g., the Ethiopia experiment). I would love to have my own farm fresh food for my family. I invested in farm from a box because I believe in their project. I deeply believe in the power of this idea. I invested because the concept of having the essential items for your farm all ready to go in a box is a futuristic idea, that can help many people especially the poor. I am all for improving peoples lives through innovative ideas. Support the effort Republic is making here. I think it is an interesting idea, and definitely has the potential to be transformational. I really like the idea of helping to feed hungry people. Farm from the box is a GREAT idea!! It is simple and easy to use. LOVE IT! I really hope you get 100% founded! Good luck to you guys! good space, unique product, seems like a genuine founding team. There are so many potential applications for Farm from a Box. It's an educational tool, a weapon in the fight against food insecurity, and an economic engine for small producers and communities. This product has the potential to help millions. Because Farm from a Box has the potential to change the world! One box at a time. I invested because Brandi and Scott are the real deal, Farm from a Box is a visionary off the grid tool even I could operate and a company I can get behind at the water cooler. Brandi is one of the most amazing and inspiring women I know. I know what she touches will turn to gold. So proud! Shouldn't we all have a smaller version of these kits? This is the perfect solution for my dream project: creating a small family farm producing small batch specialty items and contributes to local CSA's. This project will also host classes and events promoting local, non-gmo, pesticide free agriculture. I invested because this is an incredible opportunity to meet the needs of people around the globe who need access to healthy foods in a single, self-sustained package. My wife and I are interested in farming. This seems like a project to help bring better farming practices and facilities and tools to more people. We all have to work for it but access to food is a basic human right. I believe in support local food producers. Also, I am buying a 2.5 organic acre farm soon. Seldom do you see a technology that is based around the fundamentals of reclaimed material that promises renewable, harvestable profit. To NOT invest in this technology would be in error. I guess Farm from a Box can improve the living of many farmers in India and Africa - I want to see this happen. Best success! I invested because off grid hands on farming is caring, feeding and nurturing a vision of planetary realization in living. Becoming stewards by planting new seeds loving the breast and mud from where we arose. I pray your vision grows & prospers. To be involved with equity crowdfunding, and to support the ag changes happening in the world. I know Brandi, I love the cause, and I like money. Easy decision. I am a female engineering student and economist who understands health starts with the quality of food available. I love the creativity and solution to world hunger which addresses environmental concerns, local economies and cultural relativism. I like the urban farming sector. I believe that this is a great product especially for people living in urban areas. I invested because I totally believe in Brandi and Scott and knew their project would wow. I also wanted to support a project that made a major difference in the lives if the people being served. Food is huge. I invested because it's a novel idea to help small farmers to build a sustainable farm that can help them to become independent and help feed others in the process. Grow Money Save for Retirement Earn Higher Returns Reach Financial Goals Start and Expand a Business. Support Others.